Usha Choudhary is 61. 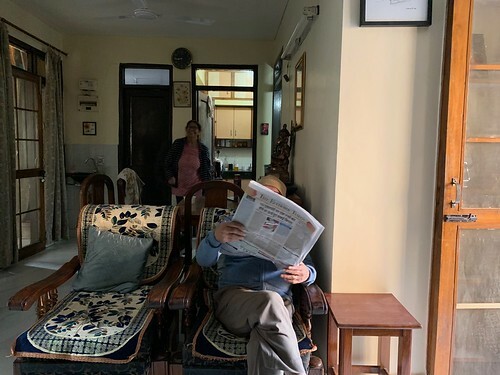 Her husband, Ram Kumar, a retired veterinary scientist, is 72. They live in their two-room apartment with son Robin. He is 12. He is a black dog. Robin moved into the couple’s family while still a pup. 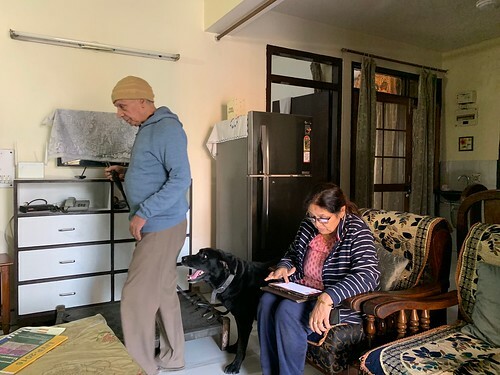 Their two human sons had left the nest long before the dog popped into their lives though Mr Kumar was still working at the Indian Veterinary Research Institute in Bareilly. 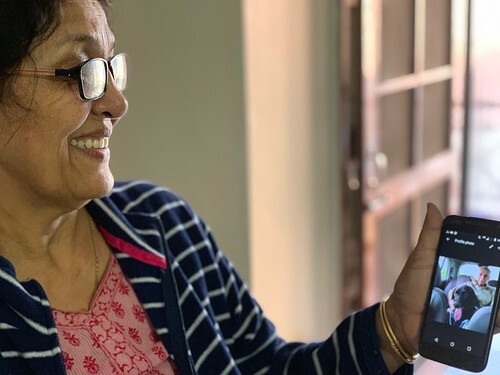 “He makes sure we’re never lonely,” says Ms Choudhary, showing Robin’s many pictures in her mobile phone. 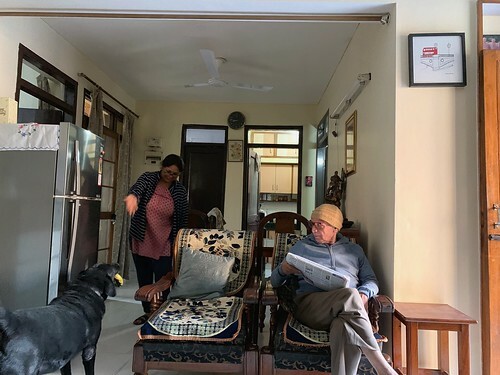 The good lady confesses that she and her husband are often obliged to skip family functions and late-night parties “because Robin can’t be left alone.” When they do take long vacations to visit their children in London and Bengaluru, they hire attendants to look after the Himalayan mixed-breed. 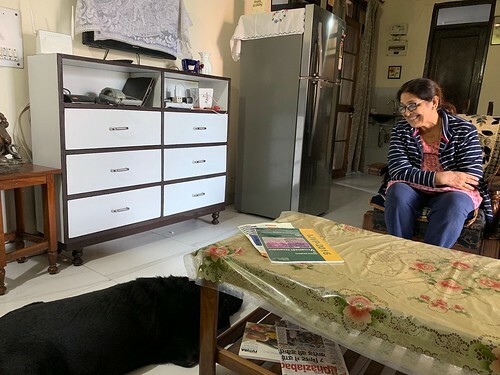 Turning to the “joy of her life”, Ms Choudhary says, “Robin tum bahut acche hon!” (“Robin, you’re a very good guy!”) The tail immediately does a cabaret. 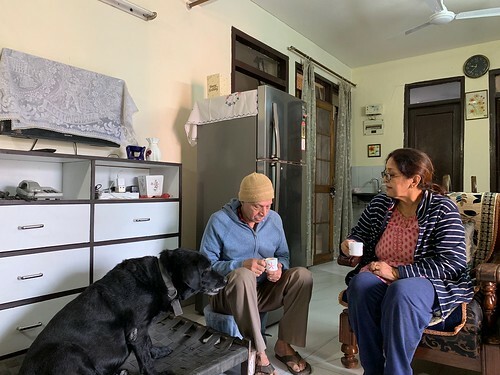 The couple now settles down for morning tea—and biskuts for their son.